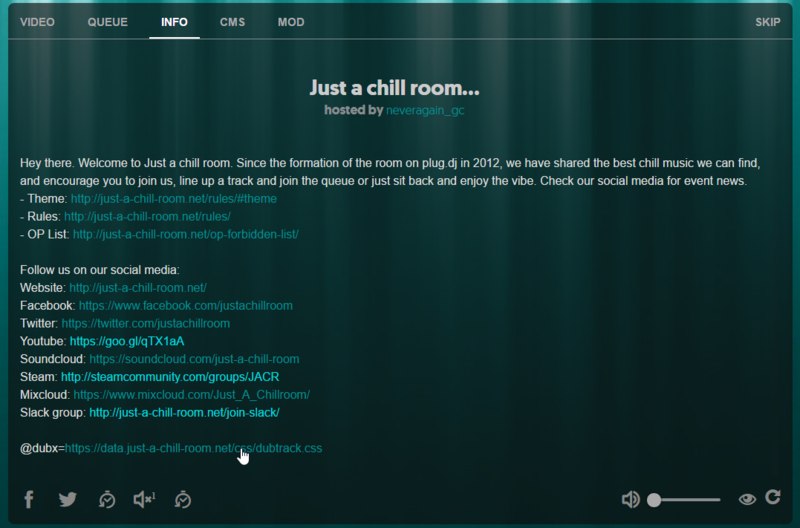 Join us (Just a chill room…), add us to your bookmarks for easy access to the room. You can login with Facebook, Twitter, Twitch, Soundcloud, or your E-mail address. You might want to change your name and profile picture before you enter a room. Extensions are down at the bottom of the guide. For moderator commands Click here. You can edit your nickname and profile picture/gif from your profile page. 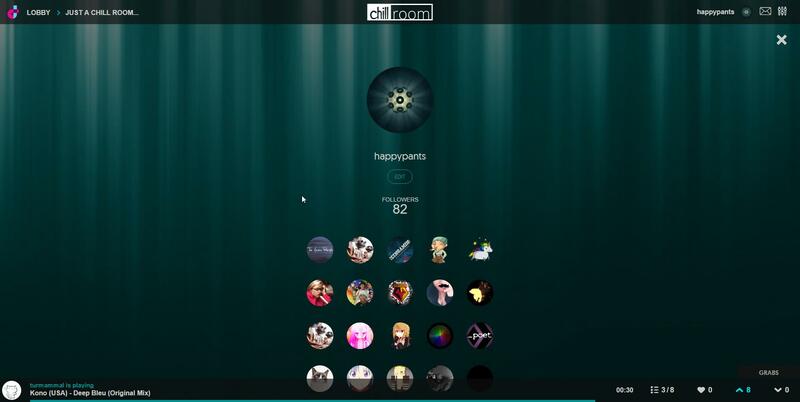 To visit someone else’s profile you have to either click their picture in the chat, or in the room members list, then the name/image. On a person’s profile you can follow them. 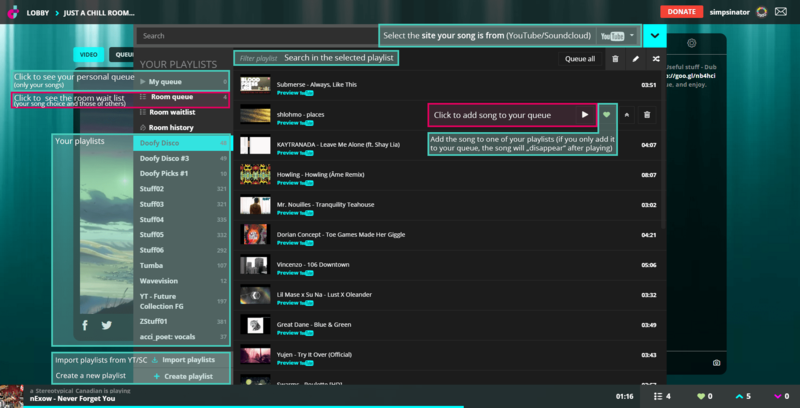 At some near future point there will be more you can see from a person’s profile, like song history and playlists. You can click ‘Queue a song’ to open a menu which allows you to search YouTube/Soundcloud, create/add to your playlists and also to view or add to room queue/my queue. To join the room queue you must find the song you wish to play (from either search or your playlists) and select add to queue, then select the ‘Join Queue’ button. You can leave the queue with the button just below the video window. Your queue is different from your playlists and if you play something from your queue it gets deleted, so if you want to make sure you keep it, add it to a playlist too! You can re-arrange your queue by dragging items around and deleting them, or shuffling randomly. You can move a track to the top of your queue by clicking the up arrow. Queues are room specific and you can have multiple queues that will re-activate as you enter the room in which you made it, though you will only see the one that you are currently using. 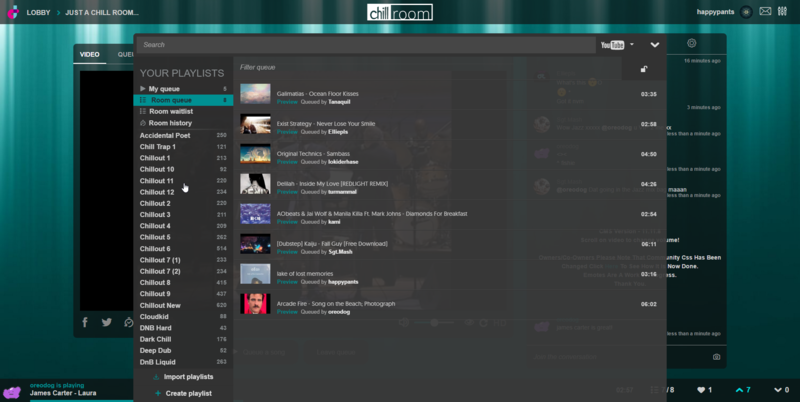 This isn’t a bad feature for being able to switch between rooms and play the right sort of music in each one without always having to re-make your play queue. We can remove people from the queue if needed, or move people’s place in the queue upon reasonable request. 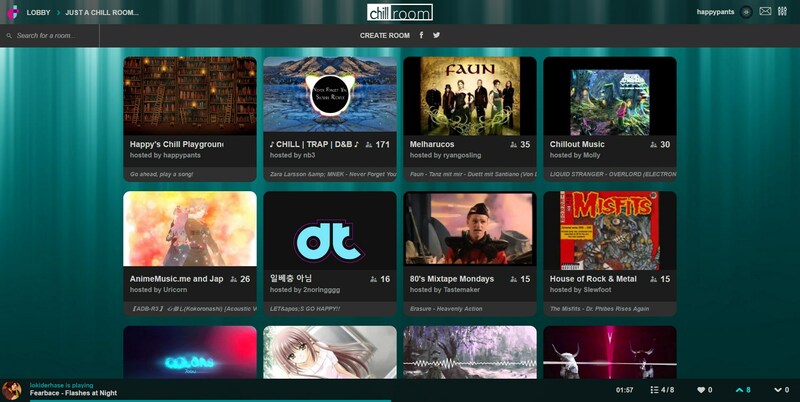 You can find room history below your queue. Playlists can be shuffled, or you can re-arrange by dragging and dropping. Your playlist only feeds your queue, moving an item to the top of a playlist won’t queue it. You can queue a whole playlist by selecting ‘queue all’ in your playlist header. Here you can also edit the name of your list or delete it. 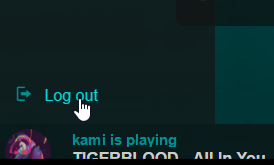 You can vote just like you did on plug, located just below the main chat window: The heart adds a track to your playlists, and the up and down arrows vote. 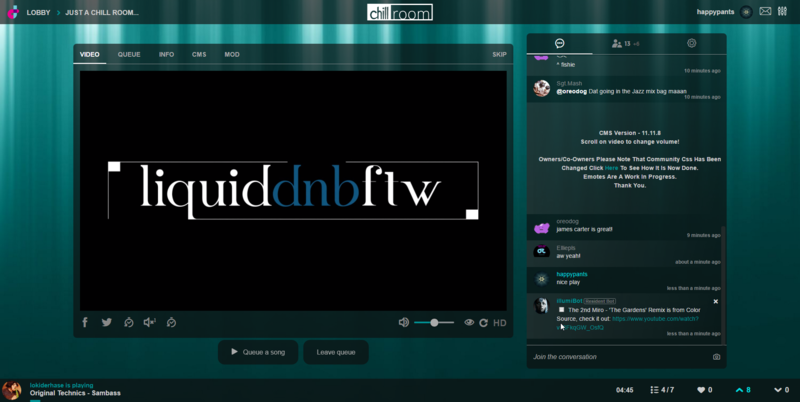 Up voting, playing and grabbing is how we enable ourselves and our fellow chillroomers to earn the mysterious dub. Having many dubs will make us powerful in many unquantifiable ways. Dubs are room specific and will change depending on your history in your current room. If your song is deemed unpopular, it will likely be skipped by a moderator. Don’t be mad, just line up another track. Click on a name to @specific user or select @ from profile picture, otherwise you have to type the name manually as there is no auto complete in this window unless you are using DubX or CMS. Alternatively, clicking on a user’s profile picture in the room member list brings up a menu from which you can private message. There IS auto complete in private chat. Private chat is site wide. Which is quite frankly, awesome. CMS Extension: For similar functionality as dubx but with extra notifications. Export your playlists from plug even after shutdown: I have tried this with playlists I had not exported from plug before its shutdown, AND with the existing .json file I exported with pye.sq10.net/ while I was still on plug. Proof of success if you stick with it. If you want to use the bookmark with your existing .json’s, check this github issue https://github.com/dubtrack/www-dubtrack-fm/issues/3 (comments by user ‘djaybe’ are relevant) as you will need to manually edit your .json file and separate your playlists to use the dubtrack playlist importer. You will probably need to refresh dubtrack and reload the importer after each playlist import: If you see this message, you have made an incorrect edit somewhere. Customising Dubtrack: You can restyle dubtrack the way YOU want to by choosing from the growing pool of custom .css available. You can find some below or have fun creating your own. If you are using DubX, you can apply our community theme. Open your chosen css link and select all (ctrl a) and copy (ctrl c). Next, switch back to dubtrack and open the console by right clicking your webpage and selecting ‘Inspect Element’ at the bottom of the menu. For a better view dock this to the bottom of your page. Find the main.css link next to @media only and click to open it (See Image) , click somewhere in the script and then select all (ctrl a) and paste (ctrl v). On subsequent attempts, if you can’t seem to find @media only, follow this process. The custom CSS options in the DubX/CMS are nice and easy. Just copy a .css file URL, paste it into the bar, hit enter and you’re good to go! 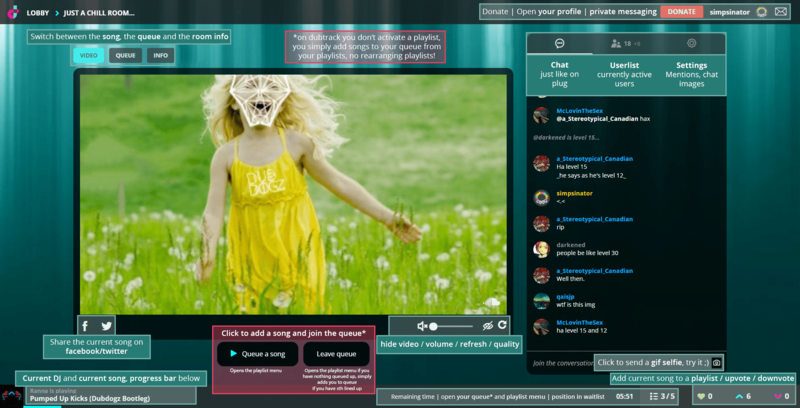 Stylish lets you apply themes you have saved, created or searched for on userstyles.org, where you can find Chillout Mixer’s theme and ‘Dubtrack Blue’ from Kris. I’ve found it can be a bit buggy if the css has errors, so best only used with nice clean styles. If you have any questions, feel free to ask the community.